There is a distinct network of flow for cerebrospinal fluid. 500mls of CSF is produced on a daily basis. There are two distinct cells: choroid plexus and the epedendymal cells. The choroid plexus produce the vast majority of cerebrospinal fluid. The choroid plexus secetes CSF from the floor, body and roof of the temporal horns of the lateral ventricle, roof of the 3rd ventricle and within the 4th ventricle. Fluid from the lateral ventricles flows to te 3rd ventricle via the foramen of Munro, and through to the 4th ventricle via the Cerebral Aqueduct of Sylvius and communicates with the spinal and cranial sub-arachnoid space via the paired Foramen of Lusckhe and Foramen of Magendie. 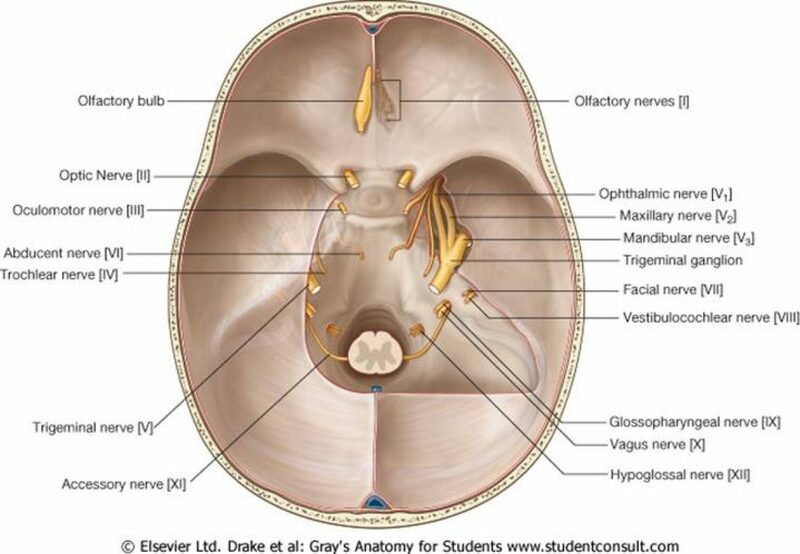 CSF is than absorbed from into the arachnoid granulations in the superior saggital sinus. This is a pressure and dependent process, with flow of CSF from high pressure to a low pressure. Clinically CSF production is reduced by carbonic anhydrase inhibitors, hence their use in the management of Benign Intra-cranial Hypertension.